Our website applications are designed to do a wide range of tasks, from automation to data collection. We help you automate your business, saving you time and money. Fundamentally, web apps are designed to find what your visitors need and to present their desired information to them. Whether you need a search engine, data entry interface, or another idea, web applications are based upon data and users interacting with it. At Potent Pages, we have developed multiple web applications. We have built numerous web applications for working with data, either presenting it or processing it. We have also built numerous data entry interfaces, allowing users to enter their information into the website for use by our clients’ websites. At Potent Pages, we developed a web application for identifying properties potentially hit by hailstorms. 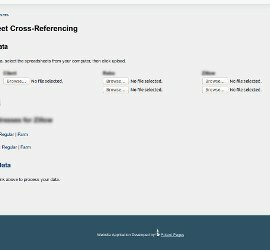 We used a combination of custom PHP scripting, along with OpenStreetMaps integration, to build a system for searching and identifying affected real estate. The web app is built to provide a range of search options, allowing easy searching based on geographic area, hail size, time range, and other factors. Additionally, we built custom programs to combine the hail and property data, exporting it to useful CSV files for analysis and subsequent usage. This system is designed to quickly update users on a daily basis, providing new properties affected by hail for research use. Ready Auto Transport is an automotive transportation company, shipping cars and trucks for individuals, and dealerships. They needed a web application to make their sales process as quick and easy for their staff as possible. 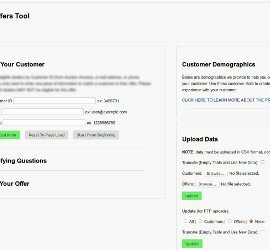 At Potent Pages, we built a web application to coordinate, find, and store sales data in an easy-to-use web application. We built the service to quickly search for customers based on available information. 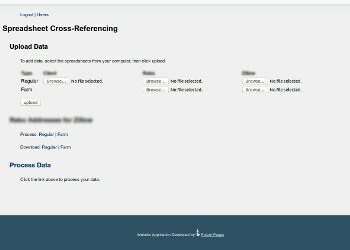 Then, we built the application to qualify customers and find which offers were current and available to their customer. Finally, built the program to combine information and provide it in an optimal format for easy use by the sales staff. Working with David and Potent Pages over the last two years has been phenomenal! The team has helped us to complete some very complicated projects (discount redemption application, PCI compliant mobile payment tool for our internal sales team, digital onboarding application and more) using best practices within design framework, as well as applying standard agile project management throughout the development lifecycle. Our projects are always complete within a reasonable timeframe and within cost, enabling the business to work at a much faster pace than our enterprise technology team. When problems arise, David is quick to partner in finding and implementing an appropriate solution. Without David and his expertise, we simply wouldn't be outpacing our competitors in connecting with our customers in more meaningful ways, resulting in increased revenue. We here at Ready Logistics plan to work with David in the future to help us build more scalable marketing technologies for our organization. Potent Pages has added power to our enterprise technology workforce. We'd highly recommend David and Potent Pages for any scale project. We built a web application for tracking and analyzing past weather patterns in specific geographic regions over periods of time. 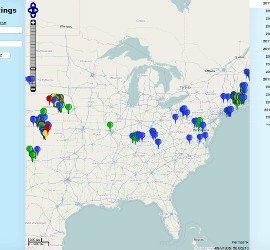 This tool was designed to help support assessing areas for construction business viability, and to easily track the scale and extent of storm patterns in an automated manner. To provide the data for this system, we built multiple programs to automatically download, parse, and store weather data from multiple sources. The program downloads information from multiple sources at NOAA on a daily basis, extracting the information and providing it on the web app. American Pacific Mortgage is a mortgage broker, providing home owners with loans. They needed a web application to cross-reference spreadsheets, finding the best customers for their business. At Potent Pages, we built their application to load, process, and provide the resulting conclusions according to their desired formula. We built the application to load their data easily from Excel spreadsheets, directly into the MySQL databases and preparing the data for processing and analysis. Next, we built the system to combine the data together, cross-referencing data from multiple spreadsheets. The program was first built to find matches among the spreadsheets, and then to find the best options among those. Finally, the program is designed to provide the results in an easy-to-import Excel spreadsheet that can be loaded into Excel for use and further analysis. NSLRC is a student loan assisting and refinancing company, assisting people with student loans to fill out paperwork and to reduce their interest rates. 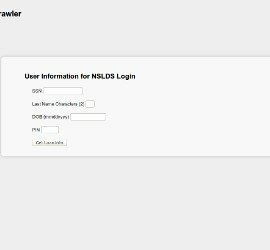 The needed an application to quickly and easily download and collect their clients’ student loan information from the National Student Loan Data System (NSLDS). 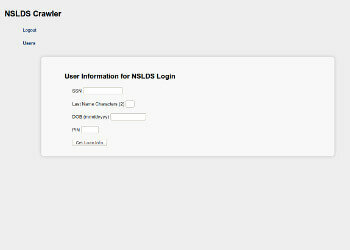 At Potent Pages, we built a crawler to go to the NSLDS website, log in, and download their information. To make the system easy to use, we built a simple web application. All their sales staff needed was the required information from the client, and the web applicaiton was built to get their information and prepare it for use with SalesForce. Contact us using the form below, and we will help you build your web application to help your users and improve your business.